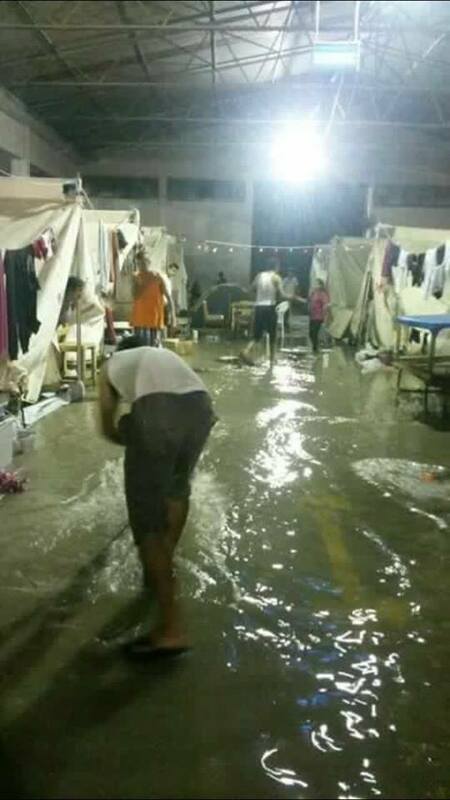 Statement by Mobile Info Team against conditions in Greek refugee camps. Winter has come (long ago). With the end of 2016 approaching, Greece is currently hosting more than 62,000 people, 33,650 of whom live in camps on the mainland. Most of the people are fleeing from war and persecution and a substantial number are particularly vulnerable: more than 1200 unaccompanied minors were identified during the pre-registration process and nearly 3500 refugees present various vulnerabilities. Most of these people are currently trapped in Greece due to overly time-consuming procedures and there are many cases of people being misinformed about how long these will last, adding to their psychological frustration. It is difficult to access the Asylum Service to make an asylum claim through the current Skype system and then it takes too long to register and process requests, meaning many cases seeking relocation or family reunification must spend one to two years in Greece. The process for people opting for asylum in Greece is similarly lengthy. Since there is no specific plan for state–organized accommodation (except for relocation cases), the only officially available option is staying in the camps. Thus, the camps that were allegedly introduced as a ‘temporary’ and ‘emergency’ solution, have become the long-term, permanent non–solution. Despite some insufficient actions to ‘winterise’ the camps, thousands of refugees, most of them women and children, are still freezing in tents with no heating, while in the summer they were suffering from unbearable heat in those same tents or in old tin- roofed factories-turned-camps, often infested with rats, bedbugs, snakes, mosquitoes and flies. Food is outsourced to private catering services and, in most cases, tends to consist of bad quality, repetitive meals, which are often insufficient for an adult. There is no consideration of special dietary requirements (for example for children and babies, or even health reasons, such as diabetes). Hot water is often unavailable and it is nearly impossible to maintain good hygiene under such living conditions, which, coupled with insufficient medical care and lack of proper equipment and medication, causes some easily treatable diseases like flu or diarrhea to spread like wildfire. On top of this, the Greek authorities have stopped issuing the social security registration numbers [AMKA] that are essential for access to free medication and healthcare. These unsuitable and dangerous living conditions also force people to give up any form of privacy and personal space which, coupled with the uncertainty they must live with, only increases their psychological trauma. Many suffer from depression, anxiety and panic attacks, while mental health care is almost inexistent. Furthermore, most of the camps are situated in industrial areas, cut off from the cities and limiting access to medical, legal and other aid, as well as employment and opportunities to build relationships with locals which could contribute towards smooth integration. In many cases, there is no regular transport to and from the camps, which are often situated next to busy roads resulting in constant danger of being run over by passing cars. Located away from easy access by people who stand in solidarity with refugees, camps are an easy target for racist and extreme-right-wing attacks, such as the recent arson attack in Chios – where the police reportedly stood idly by. Camps have thus proven to be inappropriate places where people are exposed to various dangers, where groups such as unaccompanied women and children can feel unsafe and unprotected, and where people have even lost their lives – most recently by being burned alive after lighting a fire trying to get warm. A few months ago, the Greek government forcibly evacuated and demolished immigrant housing squats in Thessaloniki, under the pretense of ‘protecting’ refugees from staying in dangerous buildings. During that same time, ‘unregistered’ groups -like us- or people helping out of solidarity (many of whom were the first helping in the field before the authorities finally decided to ‘step in’) were banished from the camps, supposedly due to security concerns. Ironically, these ‘safe’ and state-supervised camps are the only places where people actually die. Despite great amounts of funding being invested in the “refugee crisis” (for example the EU Commission has given €198 million to the Greek state, international organisations and NGOs since April 2016 to improve living conditions), the actual amount of funds received by those in need is insufficient. Refugees are forced to stay in terrible conditions either in eternal waiting on the mainland or in the no-man’s-land of the islands. This money could instead be given directly to the refugees to allow them to provide themselves with suitable accommodation, to cook for themselves and live with autonomy and dignity.